If you’re looking for a group campsite with a roof and shelter in case of inclement weather, you may want to consider our brand new cabins. The cabins sleep a total of 40 people in two wings, with an open pavilion separating the halves. The cabins have bunks and standard electricity. The sites themselves have picnic tables and fire rings. 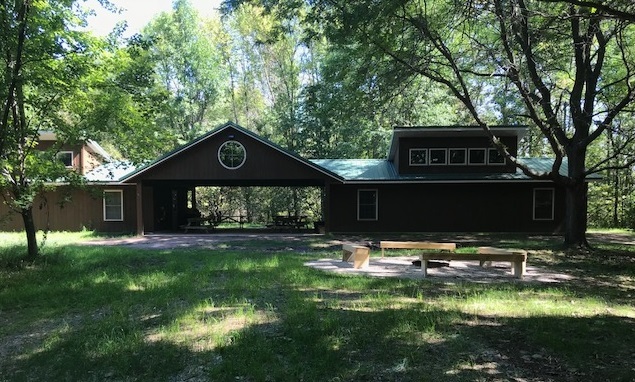 The cabin sites are perfect for family camping, scout groups, church groups, and other (group size camping expeditions). There are limits on how many people can be at each site and driving is restricted to certain areas at camp so expect to walk depending on the site you choose. We want to keep our grounds and the campsites free from motorized traffic. Located adjacent to the chapel and near the basketball, volleyball and gaga ball area. It has a large, flat yard and is just a short walk from McKinley restrooms and playground. It is perfect for groups lookking to have a campsite located in the heart of camp. 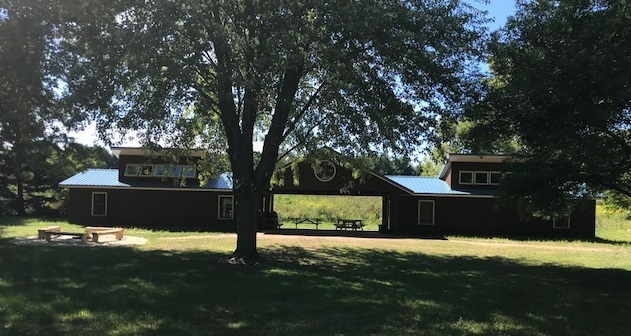 Located directly off of the main camp road, it has a spacious yard and easy access to other areas to camp. It is the campsite nearest to the McKinley restrooms and playground. It is located next to Lohmann Lodge which can also be rented and utilized for use of the kitchen, bathrooms and showers. This is the most secluded of all the campsites. It is located farther back, into the woods near camp's BB Gun Range. This campsite is surrounded by trees that provides a feeling of separation from other areas of camp. 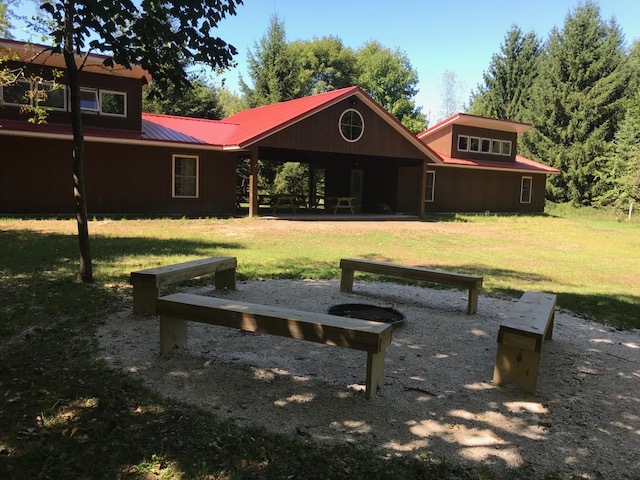 Located just behind Johnsonville Lodge, nearest to the Ropes Course and near Campsite #2. It has the unique feature of 3 small, rustic cabins each sleeping 8 people. The capacity for this campsite is 24 people. The close proximity of this campsite makes it a great add on if you are also renting Johnsonville Lodge. Download our rate sheet and add-on activities to customize your stay.